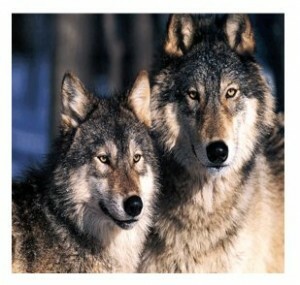 April 2010: Which Wolf Will You Feed? 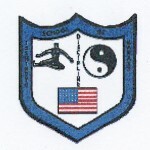 Hanshi Duessel’s most recent seminar was held in Pittsburgh was March 6, 2010. Approximately fifty students attended the seminar from Pittsburgh, Penn State, Ohio, New York, and New Jersey. A special thank you to Mr. Jeff Matusewicz, Mr. Adam Masur, Mr. Joe Marotta, Mr. Tom Ammernann, Miss. Natalie Montone, Mr. Ryan Ammermann, Mr. Lee Gugler, and Mr. Tony Curcuruto for attending from our dojo. Hanshi Duessel’s SUMMER AFFILIATION SEMINARS are June 26th and are being held at Shihan Carmona’s dojo in Landing, NJ. The cost for the symposium including lunch and dinner will be $50. Shihan Carmona asks that registrations be handled by each individual WHD school and passed along to me no later than May 30th, 2010. With this in mind adult Brown and Black belts must register with Kyoshi Hughes no later than Thursday, May 20th. Ask if you have any questions. 25TH BENEFIT TOURNAMENT – April 25, 2010 at Hackettstown High School. We need help from students, family and friends to make the day a success. We Train And It Is Fun. Students should plan to participate; it is fun and a good learning situation. KING’S Sparring Tournament, March 14th was a nice event. Congratulations to Jake Brader for his 4th place, Arshdeep Sing did well in his division and Ryan Ammermann for winning 1st Place in the Men’s Black Belt (18 – 34 age group). Congratulations to the people who earned promotions since our last newsletter. Difficult situations are sometimes necessary for a person to mature. At times the situation is an unpopular one, such a creative moment when one is considering the probabilities. However, it is true that some lessons require a strong experience for evolution to occur. The experience gained and often in hindsight knows that even the most negative experience can produce a positive outcome. Remember the eternal energy, which each of us possesses requires that we participate in the physical experience that will help create growth and develop a positive attitude. Instead of complaining about the problem, contemplate the information received and move forward. If someone does something to hurt your feelings, forgive but do not forget the moment. If a grudge is held, the person holding onto the hurtful idea is generally the only one who is truly being effected. Stay true to personal beliefs and receive the lessons and use them to move forward. Learn the lesson and move forward. Again, we realize the reluctance of those stuck in a negative pattern to receive this information, however, we feel the infinitive power of the Soul and align our energies with it, so as to help you through it. ALWAYS REMEMBER that in the dojo, everyone works, nothing is free and all start at the bottom. We should exercise respect, patience, and understanding in dealing with our everyday existence. A student will succeed in the martial arts through hard work, proper attitude, repetition in the techniques and devotion to him/herself and the art. Strive for perfection in all that you do and accept nothing less. If you do, you are cheating yourself. Only you can make positive things happen. There are many ways that we can look at attaining our goal in our martial arts training. To some it might seem as a winding path, while to others a straight walk, and to others a climb up the mountain. If we are to stop and think for a moment we have traveled all three paths. The path that we travel is based on our own individual triangle. It is a road that requires balance, devotion and dedication. It is a triangle with a base – foundation – that consists of three sides, each made up of a vital part of the training. If there is a lack of balance in any of these areas, the climb to the top will fail. The three sides are: preliminary exercises – basic exercises to loosen and strengthen the body and joints, stretching the ligaments, etc. 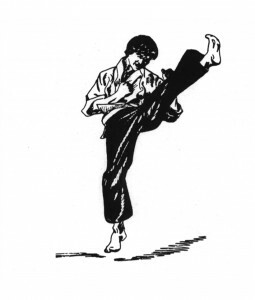 Basics exercises – the ABC’s of karate teaching proper techniques in exercises as well as all areas of the art. Last, but most important, kata training. With a combination of the three, a solid foundation is established, along with proper growth and development is achieved. Kata cannot be fully understood without the bunkai – application of the techniques. Weapon’s training cannot be performed without the knowledge of kata. Each part of the triangle is dependent on the other for support and balance. When all sides are place together, they show the upward path to the growth pyramid. He said, “My son, the battle is between two wolves inside us all. ”One is Evil – It is anger, envy, jealousy, sorrow, regret, greed, arrogance, self-pity, guilt, resentment, inferiority, lies, false pride, superiority, and ego. Adult students should consider joining the American Isshinryu Karate Association. It is a $10.00 annual fee. Adult yellow belts and about should join the Isshin-ryu World Karate Association. It is a one time $40.00 fee . We just returned from Hanshi’s annual spring seminars in Pittsburgh. It was a great seminar and a wonderful opportunity to spend some time with old friends and make new ones. You can download the March, 2010 WHD Affiliation Newsletter here. Kyoshi Hughes is compiling the WHD Affiliation newsletter. Publication dates will be the last week of March and December. Any sensei wishing to submit an article, or announcement should send it to karatedo@goes.com at least three weeks prior to the publication date. Self-confidence gives you the freedom to make mistakes and cope with failure without feeling that your world has come to an end or that you are a worthless person. It is hard to believe but another year has started and preparations are already under way for our 25th annual benefit tournament. Each year we work to make the event run smoothly and charge reasonable fees for competitors and spectators, so everyone may attend. I hope you and your students will be able to attend to help us raise funds for the American Diabetes Foundation and the high school sports program. Diabetes and obesity are growing in this country because of the eating and exercise habits of our population. Because of some more recent media presentations, people are becoming aware of the problem and strides are being made with research technologies. Hopefully a cure will be found in the not too distant future. We will continue to be a NO CONTACT tournament for all competitors. This includes all students from white belt to black belt. The philosophy that is stressed is that CONTROL should be able to be demonstrated by all competitors. Students must wear protective hands, feet, headgear, mouth guards and groin protection in addition for the men.